A tribe, if we go according to the Dictionary is “A group of people who lived together sharing common beliefs and generally are being guided by a leader”. These beliefs can be related to politics, religion or even music. Tribes may be small or large differing by the place where they live and the views they share. Moreover, in the present society Tribal people are being referred to as the ‘Historical and backward group of people living together at the countryside generally’. The Kalash tribe is a group of indigenous people currently residing at the Chitral District of Khyber-Pakhtunkhwa province of Pakistan. They are being classified as the Dardic people. The group of people mostly found in the northern India’s Jammu and Kashmir, northern Pakistan’s Gilgit–Baltistan and Khyber Pakhtunkhwa, and eastern Afghanistan are being classified as the Dardic people. The Kalash people speak their own unique Kalasha language. Their language is not related to any other language and has its own uniqueness. It is not in relation with the Chitrali language. 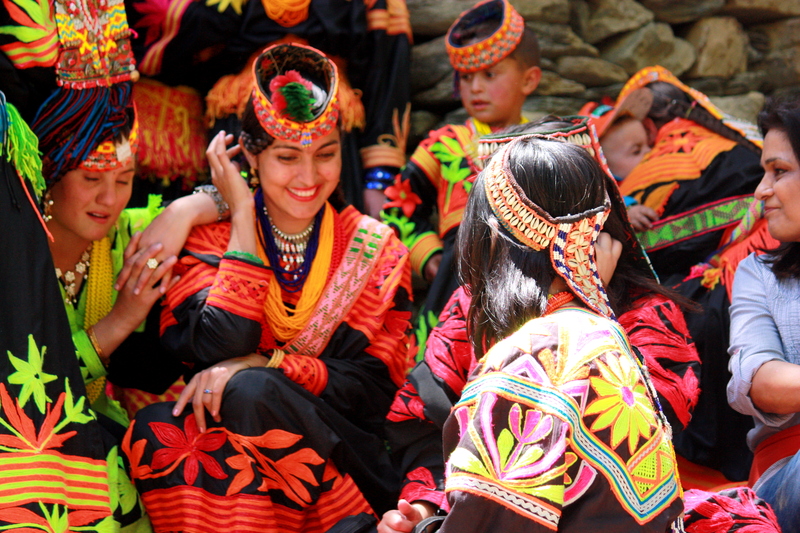 The Kalash people, unlike, the general Pakistani population is a Non-Muslim tribe. They keep their Identity strong. If anyone from the tribe converts to Islam, that person is not allowed to live with the tribe anymore and hence is excluded from the tribe. Their dressing is also very different. The women wear black robes while men prefer to wear traditional Pakistani Shalwaar Kameez and children usually wear the smaller versions of this dress code. This tribe is on the verge of extinction because of many people converting to Islam and hence leaving the tribe. Their population is around 3000 as per the current status. The Cahuilla people, also known as the Iviatim people are referred to as those Native American people living at the inlands of the southern California. Their territory is bounded by the famous chocolate mountains and the very famous Colorado Deserts. Going by the tradition, their Native language is the Cahuilla language, but in the year 1990, it was discovered in a survey that not more than 34 people out of a population of 800 could speak the Cahuilla language and those were also the older and the middle aged people only. Their language had almost become extinct as all of them had adopted some other language. Going by the 1990 census, their population was a mere number, just 1,260. The Cahuilla tribe has been almost extinct as of now and the place where they lived is now largely been occupied by the hotels and casinos, as those places had the gift of divine beauty and so became the favourite place for the flourishing of these entertainment hubs. The Takuu Atoll is an island situated at the east coast of Bougainville in Papua New Guinea. It is a very isolated place and a very undesirable place for human habitation. Still a group of people actually live at this island and are mostly referred as the “Takuu Atoll Tribe”. A group of almost 400 people, said to be of the Polynesion region have adopted themselves to the place. These people live by their own traditional way and the language they speak is a Polynesian language. The life at this place is very hard and due to this reason many film makers in the past have visited this island to make a documentary film on the living conditions of these people. This island is a very low lying area and hence is in a danger of being submerged in the ocean due to the rising levels of sea water. The living conditions are getting worsened day by day and hence the tribe is on the edge of extinction. The Piraha people or ‘The Piraha Tribe’ is also one other community of people surviving at the Amazonas State of the Brazil. The language they speak is known as the Piraha language and is said to be as one of the most unique and simple language of all time. 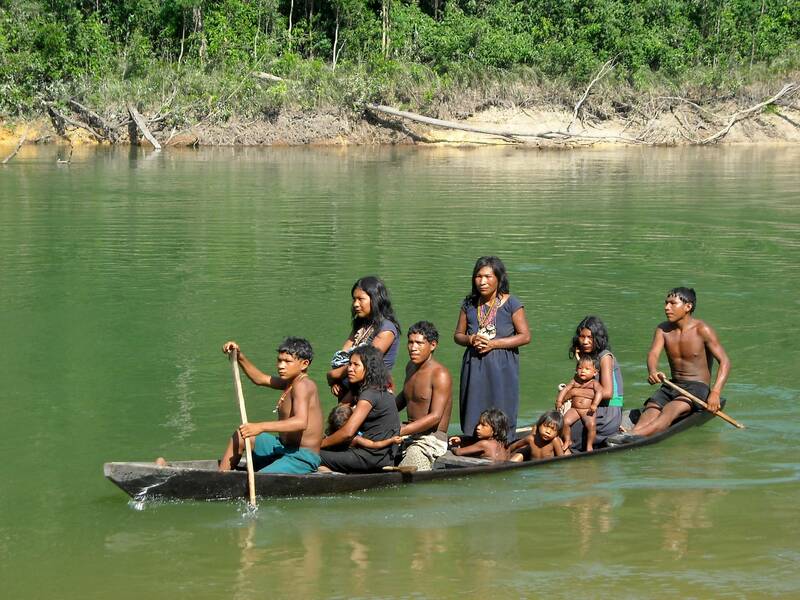 The Piraha people are of the hunter nature and so they feed themselves by hunting only. The Piraha people are known to be as very much skilled. They have developed exceptional skills for surviving by the natural way. They are also known to be as one of the most-happiest tribe in the world. Although their population remains at just 420 according to the recent stats and so they also stand at the verge of extinction. The Dukha tribe is one of the tribe with the highest probability of getting extinct. The Dukha people are situated in the Northern Khovsgol Aimag territory of Mongolia. These people speak the Dukhan Language and follow the Tengrism religion. Their population stands very low at just 282 as per the year 2010 census. Only a mere 40 families are remaining of this community. They are known as the ‘Reindeer people’ as all of them are Reindeer herders. They survive solely on Reindeer. They drink the milk of Reindeer, because of that they breed and ride this animal for their own purpose. These people don’t get any help from the government hence hardening their living more, leading to their extinction. The Spinifex people, also known as the Pila Nguru people is a group of tribal people living at the Great Victorian Desert. These people also rely on hunting for their survival. 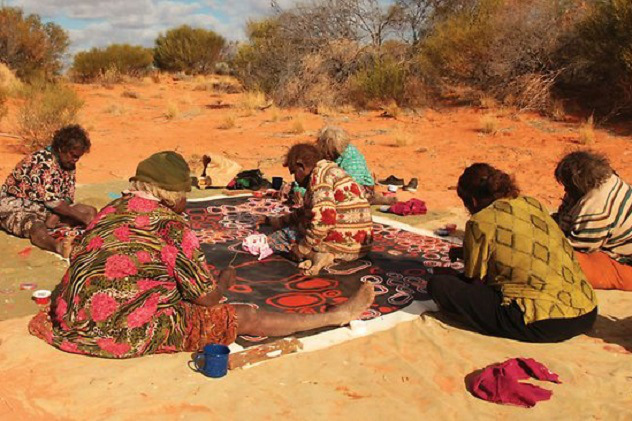 The Spinifex people are famous for their work of art. Their solo and group artworks were very much praised in an exhibition at London and hence it led to the great success of their Artwork. The population of the place is so small that once the British used their place for an atomic testing as they thought of the place as devoid of people. The El Molo is also another group of tribal people living at the Eastern Province of Kenya. Their mother tongue is called as the “El Molo” language. These people worship a God named “Waaq”. According to the census of 2007 there were 700 El Molo people left, but further investigations showed that the number was actually very less than that as most of those left were actually admixed with the adjacent Nilotic populations and so only a few pure El Molo people were left. The Kayapo people are situated at the Islands of Mato Grosso and Para in Brazil. 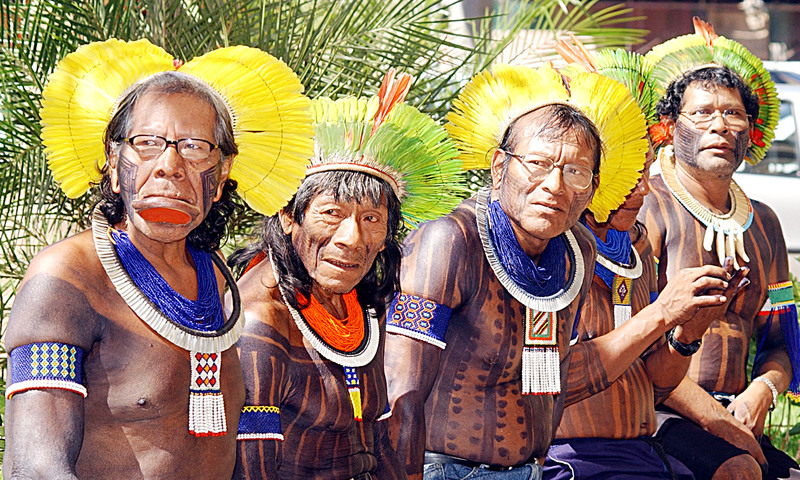 These people speak the Kayapo language. The Kayapo people are actually scattered over in different villages with their population ranging from 100’s to 1000’s people in a village. Going by the census of 2008 there were 8,638 people remaining from this tribe which is considerably higher than the tribes discussed before. Still they are endangered due to the increasing urbanisation which is leading to the destruction of amazon rainforests and hence is affecting the traditional way of living of these people. The Batak people have established themselves at the north-eastern part of the Palawan Island situated around Philippines. The Bataks are the people of Philippines only. 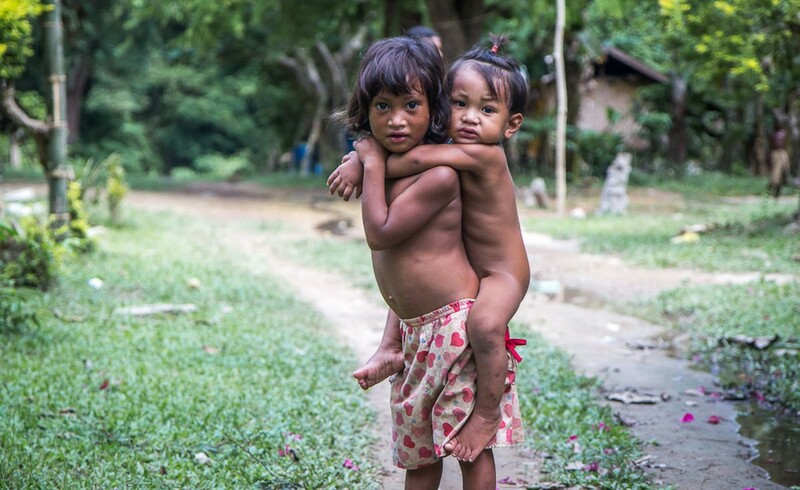 There are just 500 of the Batak people left in the World as of now. They survive on hunting and farming. They also keep up their income by trading. It is said that they have a great History of trading with China. The Bataks are greatly at the borderline of extinction due to the ignorance of the government towards them and also due to the farmers easily pushing them out from their areas. The Andamanese people are located at the Andaman Island, an Indian district. The Andaman Island is located at the Bay of Bengal. These people are also the Hunter-Gatherer type. They used weapons such as bow, adzes and wooden harpoons. They refuse to practice any cultivation. They are isolated from the world since thousands of years. In the eighteenth century there population accounted for a number of around 7,000; divided into different groups. Every group had its own culture and traditions of living and also spoke different languages, but now only 400-500 of Andamanese are remaining and some of the groups have been extinct long enough. So, it is finally put them in the list of the world’s most vulnerable tribes that are about to extinct.